The Owings Mills, MD Wegman's is Opening Soon! Have you been patiently waiting for the new Wegman's in Owings Mills to open? Well your wait is almost over. The new Wegman's is scheduled to open September 18th. 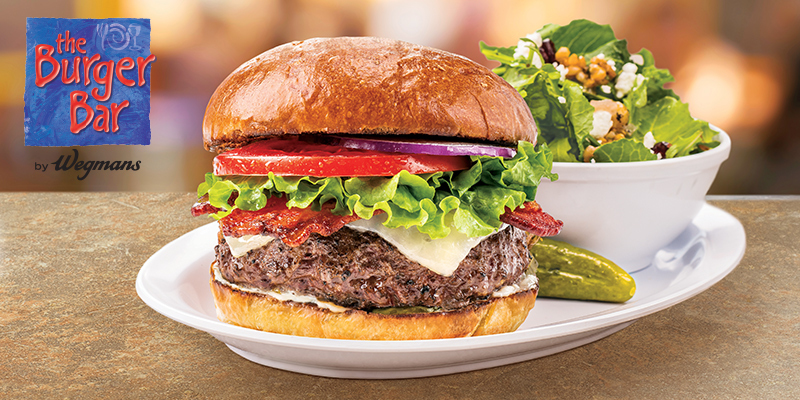 They're even going to have a Burger Bar with sandwiches like: Maple Onion Bacon Burger, Shrimp Po Boy Sandwich and the Fried Chicken Sandwich. Rockville, MD – (August 10, 2016) – The following analysis of the Baltimore Metro Area housing market has been prepared by Elliot Eisenberg, Ph.D. of MarketStats by ShowingTime and is based on July MRIS housing data. The Baltimore Metro area median sales price of $267,500 was up 2.9% or $7,600 from last year, marking the highest July sales price since 2008. Sales volume across the Baltimore Metro area was more than $1.1 billion, up 2.7% from last year. July closed sales of 3,561 were down 1.7% compared to last year, the first year-over-year decline since August 2014. There were 3,950 new pending contracts recorded in July, down 0.2% compared to last year. The number of new listings compared to last year dropped by 2.4% to 5,064. The number of active listings declined by 10.5% to 12,674, the eleventh month in a row of declining inventory levels. The average percentage of original list price received at sale in July was 95.8%, the highest July level in a decade. The median days-on-market was 26 days, down from 32 last year, matching July 2013 as the best July in a decade for median days-on-market. The overall regional median sales price for July 2016 of $267,500 is up 2.9% or $7,600 from last year, but down 2.7% or $7,500 from last month. Compared to last year, townhome prices were up 11.3% to $211,500, single-family detached prices were up 4.0% to $338,000 and condo prices were up 0.8% to $209,000. Prices are approximately 3% above both the 5-year average of $259,492 and the 10-year average of $258,746. July prices are 18.9% above the 2011 bottom of $225,000, and 6.1% below the peak of $285,000 seen in 2007. Baltimore City saw the highest year-over-year appreciation at +16.3% but still remains the most affordable locale with a median sales price of $156,950. Howard County continues to be the most expensive area in the region, with a July median sales price of $415,000, a 5.7% decrease compared to last year. For the January-July year-to-date, prices are up 4.1% to $250,000. July 2016 sales of 3,561 were down 1.7% or 62 units compared to 2015, and down 17.2% or 742 units compared to last month. 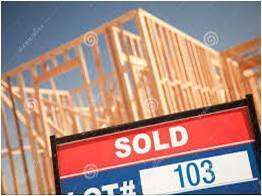 Single-family detached sales of 1,970 were down 4.9% and condo sales of 363 were down 5.0%, but townhome sales of 1,228 were up 5%. Sales are well above both the 5-year average of 3,091 and the 10-year average of 2,713. Sales were 1.7% less than the previous July high of 3,623 set in 2015 and were 84.0% higher than the 2010 low of 1,935. Carroll County saw the largest percentage increase in sales (+29.8) with 270. Baltimore County saw the largest decline of 12.9% to 925 sales. For the January-July period, regional sales are up 11.2% to 22,788. July 2016 pending sales declined 0.2% compared to last year to 3,950 and were down 7.3%compared to last month. The number of pending contracts for townhomes rose 6.5% to 1,400, but condos declined 14.2%to 370 and single-family detached declined 1.5% to 2,180. Pending contracts are 13.9% above the 5-year average of 3,467 and 37.2% above the 10-year average of 2,878. The number of new pending contracts in July was 104.2% more than the 10-year market low of 1,934 seen in 2010, and were 0.2% less than the previous high of 3,959 of July 2015. Howard County saw the largest percentage increase in the number of pending contracts of 6.5%to 460, while Harford County saw the largest decline of 4.5% to 386. For the January-July year-to-date, new pending sales are up 7.7% to 29,051. There were 5,064 total new listings added in July in the Baltimore Metro area, a 2.4% decrease compared to last July, and a 12.8% decrease compared to last month. The number of new single-family detached listings decreased by 4.4% to 2,850, while condos decreased 3.9% to 467. The number of new listings for townhomes increased by 1.5% to 1,747. New listings are above both the 5- and 10-year averages of 4,564 and 4,634, respectively. The number of new listings in July was up 46.7% compared to the market low of 3,452 in 2012, but was 13.2% below the 2007 high of 5,837. Harford County saw the largest growth in new listings, increasing 5.7% to 517. The largest percentage decrease in new listings was in Baltimore County, decreasing 8.9% to 1,312. Data retrieved from Real Estate Business Intelligence. Don't Step Foot into a New Construction Model!!! I've said this many times before but when my own sister did it, I realized I had to write about it. Just in case you're wondering, I was not her Realtor because she lives in Florida and I live in Maryland. However, the Realtor she was working with is someone I've referred to my family a couple years ago. When my sister told me what happened I gasped and yelled, "Don't you read anything I put on Facebook!" I was just kidding, kinda :-) After this conversation I realized it is worth talking about again and again. I know when you are looking for a house it is a really exciting time. Buyers just want to get out there and help by locating their own properties online, going to open houses and visiting new construction models. As a Realtor, I can say I love the proactive Buyer who is motivated and looking to find their dream home as soon as possible. However, we must discuss the "Rules of Engagement." If you would like to visit an open house or new construction site, it is best to discuss it with your Realtor first. Your Realtor will be able to schedule an appointment to go to the open house or new construction model with you. If your Realtor is not available for the showing, they can call the site sales person ahead of time and let them know you will be stopping by and you are working with a Realtor. Some people think, "What's the Big Deal?" The big deal is with new home construction, the builder will pay the Buyer Agents commission. It is already built into the cost of the home you are buying. The caveat, you must have your Agent with you on your very first visit to the site. If you do not have your Agent with you, then the builder WILL NOT pay your Agent's commission which will leave you without representation and you will have to negotiating your contract on your own! If you chose to continue working with your Agent to represent you, then you will have to pay your Realtors commission out of pocket in addition to your down payment and closing cost expenses. If that does not sound good to you, then make sure you have your Realtor with you on your first visit. Open houses are a little different. They do not follow the same rules as new construction. An open house is held by the Listing Agent or another Agent from that same office. 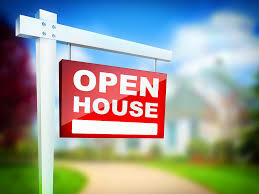 The purpose of an Open House is to attract Buyers to visit the home in hopes they would like to purchase it. Agent's also hold Open Houses to attract Buyers who may not already be working with a Realtor with the hope they will be able to get a new client. If you do attend an Open House, I would recommend not filling out anything and advising the Agent you are already working with a Realtor. Also keep in mind, if the Listing Agent is holding the Open House, they are working for the SELLER. Any information you may provide by accident or on purpose will be shared with the Seller and can affect your negotiating position if you decide to submit an offer on the property. Your Realtor understand your wants and needs and is working on your behalf to help you find the home of your choice. Make sure you are working together with your Realtor and they are aware of the houses you are interested in. Their job is to negotiate for you to get the best price on the home, the maximum seller help with closing cost with the least amount of out of pocket expenses. Help your Realtor help you! You've tried to modify your loan with your bank and they are not willing to play ball. You have a large past due balance which you cannot afford to pay in order to bring your mortgage current. So now what? The next step, if you do nothing, is the bank will foreclose on your property and you eventually will be evicted from the home. A foreclosure is when your mortgage company takes back a property because the homeowner failed to make the agreed mortgage payments on the home. When you finance a house, you sign a deed of trust. A Deed of Trust is formed when a borrower borrows money to purchase a house, in exchange a promissory note is signed (IOU). If the borrower defaults on the loan, the bank has the right to seize the property. The bank will first file a Notice of Default at the County Recorder's Office and the homeowner will also be notified. If the loan is not brought current, then a sale date will be established. The homeowner will receive a Notice of Sale when/where their house will be sold at auction. The sale of the home will also be advertised in the newspaper, websites, etc. At the auction, the house typically is sold to the highest bidder. However, if the opening bid (minimum amount the bank will accept for the sale of the house) is not met, then the house will revert to the bank and become a bank owned property (REO). If you know you may be faced with a foreclosure, there are other options available to the homeowner. The homeowner can do a deed in lieu of foreclosure. A Deed in Lieu of Foreclosure is when the homeowner voluntarily gives the property back to the mortgage company. The mortgage liability will be released from the homeowner. The mortgage company will entertain this option when a short sale is not a viable option. A Short Sale is when you sell your house for less than the amount owed. For example, if you owe $200,000 on your house but the current market value of your home is only $150,000. In this situation, you can list your house for sale with a Realtor as a short sale. Once you receive an offer to purchase on your house, you will need to get third party approval from your mortgage company. The mortgage company has to approve the sale price of your home in order to sell it for less than what the homeowner owes. The mortgage company will conduct their own due diligence to determine the value of the house. Once they've determined a value, they will either accept, decline or counter the offer that was submitted. Once your home is sold as a short sale, a deficiency balance is created. The deficiency balance is the difference between the amount you owed and the amount the house sold for. The Mortgage Debt Forgiveness Act was extended to the end of 2014 which relieved homeowners from the responsibility of the deficiency balance from a short sale through 2014. Hopefully this Act will be extended in 2015 to continue to help homeowners. Forcing Buyer to Use Seller's Title Co. Is a NO NO!!! Sometimes us Realtor's make transactions so much harder than they need to be. Working as a Buyer's Agent, it is my duty to make sure my Buyer's rights are not taken away. After looking at a few homes my Buyer's decided on a home and their offer was accepted. Included with the disclosures was an addendum, the Seller insisted the Buyer must use their title company. If the title company was going to provide an incentive for my client to "want" to use them, then my client would consider it was my response on the addendum. Seller who is also the listing agent crossed it out and advised either the Buyer's use his title company or no deal!!! Clearly, the Seller/Listing Agent wasn't familiar with Title 17-607 which states a real estate Agent cannot require a Buyer as a condition of settlement to use a specific settlement company, title insurance company, escrow company, mortgage lender, or title lawyer. The penalty if found guilty is a misdemeanor, up to $5,000 fine and up to one year in prison. I don't know about anyone else, but that is just not worth it to me. The Seller/Listing Agent said he wanted to use his title company because it was more convenient for him and doesn't understand why there was an issue. I had to in several email communications remind the Seller/Listing Agent of the Buyer's right to choose the title company. He did not back down until I sent a copy of the title which included the fine and jail time. I guess that made him think if it were worth it too! One of the largest transactions you'll make in your life is the purchase of real estate. The real estate market is the backbone of our US economy and is considered part of the "America Dream". Determine how much money you have to allocate towards buying a house. You will need to show how much money you have saved to go towards your down payment and closing cost. You can use funds from your savings account, retirement account (401k), gift funds from a friend or relative, etc. Purchasing a home can be a very intricate process that requires someone who is familiar with working in the area you are seeking to purchase your home. It is important you locate a Real Estate professional you feel comfortable working with and who understands your family's needs. Get recommendations from family and friends who have recently purchased a home. If they had a great experience, they will most likely be happy to refer their Realtor to you. Find a Realtor online in the area you would like to purchase. Check to see if there are any online reviews from their past clients. Finding a good lender is just as important as finding a good Real Estate Agent. Start with the institution you already bank with to determine their current loan programs and interest rates available. You can also get a recommendation from your Realtor. Most likely your Realtor has worked with many local lenders and may be able to recommend a lender they feel will be best suited for your situation. To start the pre-qualification process, you will need to authorize your lender to pull your credit and review your financial situation. The lender is trying to determine if based on your credit score and financial snapshot, they will be able to qualify you for a loan. Buying a house does not have to be a stressful process when you have the right team paving the path for a successful journey. Purchasing a home is a rewarding experience and therefore should be memorable. These are just the first steps towards buying a house. Once you've found a real estate agent and a lender, you will be ready to move forward towards the next steps towards home ownership! Recasting, also known as re-amortization, is the little-known alternative to lower your mortgage payments. It doesn’t change your interest rate or the term of your loan, but it will reduce the amount you pay each month. The catch? You need a wad of cash — at least $5,000 — you’re comfortable parting with to reduce your principal. This option allows someone who has a large sum of money to pay it against their principle and recalculate the mortgage payment. Some lenders offer this option on a one time basis. You get to keep the same term and interest rate on your home. With a recast, you will keep the same loan and terms however you will pay down on the principle only. The bank will recalculate your loan based on the new loan amount and remaining time on your loan. This will lower your payment for the remainder of the loan. If your bank offers recasting, they may also require a minimum about of $5k or 10% of the balance in order to qualify. We've gone out to see several houses, but we have realized buying new construction may be the way to go. During her late night online searches, she came across an independent builder. The builder spoke one on one with my client the next day. Immediately she told the builder she is working with a Realtor and he told her he would give her a better deal if she does NOT use a Realtor. I know many consumers think they will make out better if they don't use a Realtor but often times they don't. Would you show up in court without a Lawyer if you were facing a 10 year jail sentence? If you have a signed agreement with your Realtor, your Realtor has a fiduciary responsibility to their client and will work to make sure you get the best deal. There are many things your Realtor does for you during your entire home buying process. Locate properties listed with a Realtor that fit your criteria in a home. Detect defects when previewing houses that the average home buyer may overlook. Conduct a market analysis to help you determine the best offer price so you do not pay too much for your new home. Write your contract and include all of the state required disclosures/disclaimers necessary to facilitate the transaction. Negotiate the maximum closing cost help. Negotiate the terms of your contract and explain the process so you will understand what to expect. Work and coordinate with all parties involved in the transaction such as the lender, title company, inspection company, appraisal and listing agent. Help you review the settlement statement to make sure it is in line with what was negotiated on the contract. Always be leery when a Seller or Builder tells you to dump your Realtor. You hire a Realtor to work for your best interest and advise you on the best course of action. Also, if you think you will just use the Listing Agent so you can get a better deal, think again. In some situations, you may be able to negotiate a slight advantage, however the Listing Agent is working for the best interest of their client, the Seller. The Listing Agent cannot give you any advice on what to do, they can only write what you tell them to. Any information you give the Listing Agent unknowingly can and will be used to assist their client, the Seller. If you do not have any experience with buying houses, consider using a Realtor who will educate and guide you through the process while looking out for your best interest!